Combine ingredients into a mixer and mix well. Add in water and beat on high speed till smooth dough starts to form. Cover the dough and let it rest for 1.5 hours. 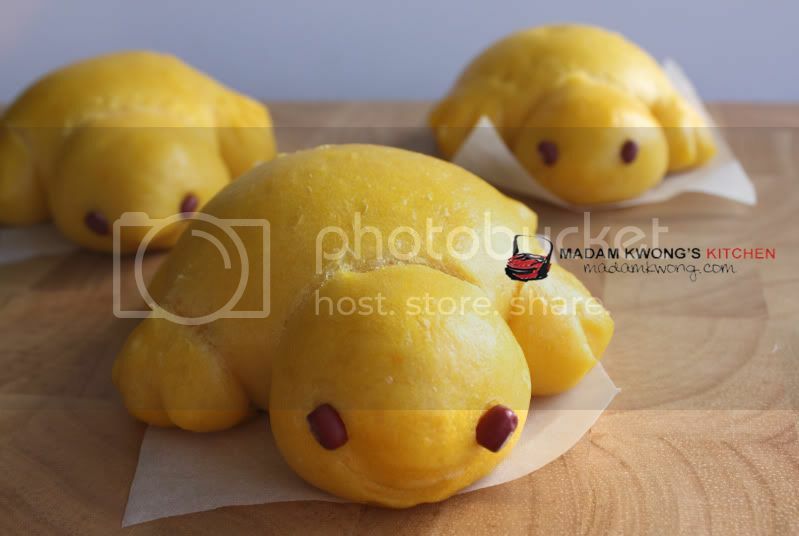 Knead the dough and portion each to shape into a tortoise. (Note: You don’t need to shape to a tortoise, you can shape them into rounds.). Use red bean as the tortoise eyes. Rest the dough for another 30 minutes after shaping them. You’ll need to steam the buns for five minutes in medium heat. Hi Mdm Kwong, I read that you also reside here in Melb. And it’s really hard to find bread flour here right? Would there be much difference in using plain flour rather than bread flour? 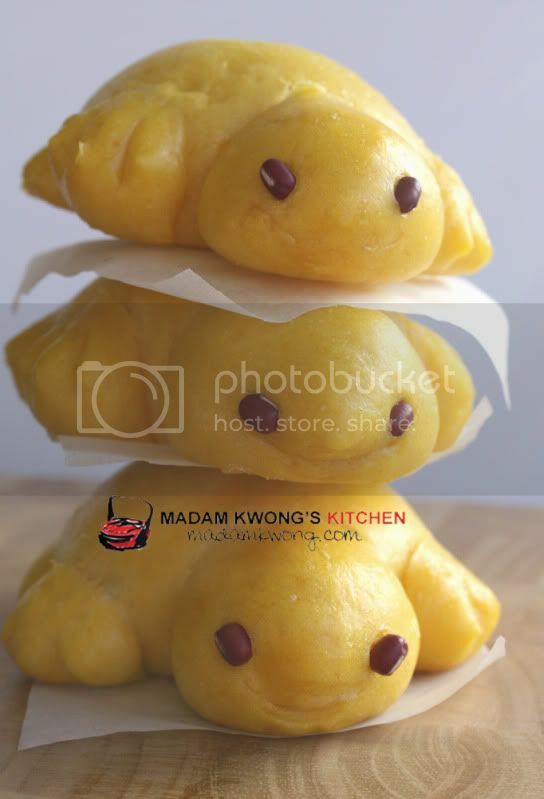 Hi…madam kwong.. Really love your website.. 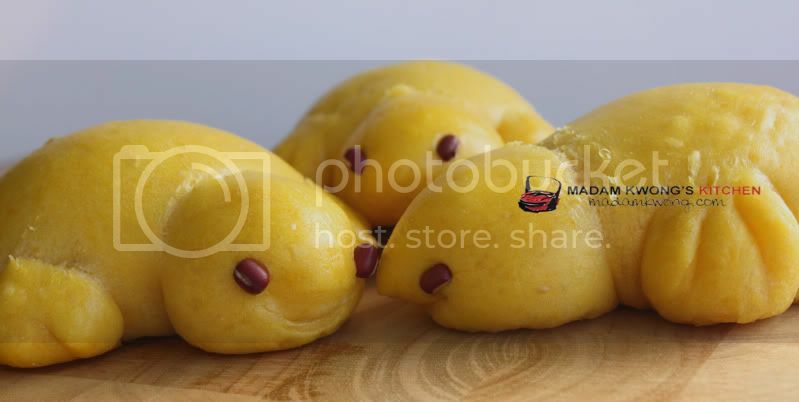 I believe that you live in melbourne, how about we can make a kind of cooking group, if we can have playgroup for kids, why dont we make playgroup but for the mother.. We can say it as a cooking group…. Hi Mdm Kwong. I could not find bread flour. Will there be any different in texture if i use plain flour?